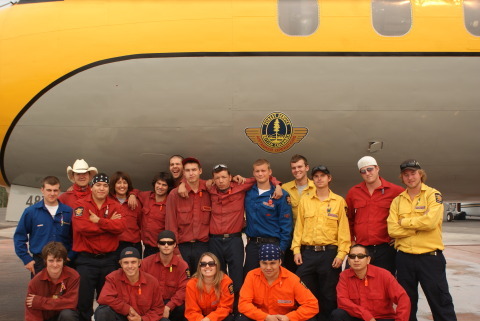 Meet the team at Firestorm Enterprises Ltd. Here you will find a few words introducing you to the wonderful people who help make Firestorm a reality! Learn a little bit about the great work our valued team members do and what they have accomplished. Bob "Tatonka" Swart is the President of Firestorm. He has over 20 years experience as a Structure Branch Director, Structure Protection Specialist, Structure Branch Task Force Group Leader, Structure Protection Group Team Leader, Structure Protection Unit Leader, Division Supervisor, Strike Team Leader, Task force Leader, Type 3 burn boss, Ignition Team supervisor, Holding Team supervisor, certified Insturctor to ICS level "Strike Team/Task Force Leader", and Bob was the Western Canadian Regional Manager for the largest Wildland Equipment Mfg (Wajax, Wildfire, now WATERTAX ). 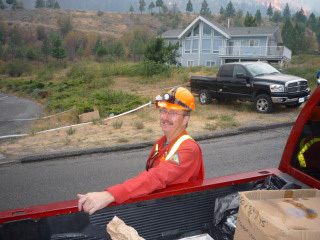 Bob is an instructor for BC Wildfire Service, BC Office of the Fire Commissioner, and National Wildfire Coordinating Group (NWCG). His words to live by : "HAVE FUN...WORK SAFE". Natalie "Hand in Your Time Sheets on Time" Smolinski is the Vice President. 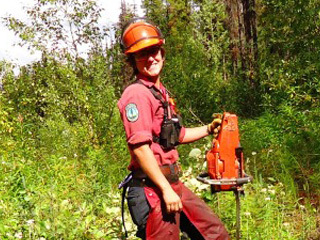 Natalie has 5 years of Operational Wild land experience, Structure Protection experience, and Fireline experience. She also has 15 years experience as a Production Manager, Quality & Control Manager, Marketing Manager, Traffic Manager, and Task Force Team Leader. Christian "Macafee" Wolff is a Task Force Crew leader. Christian feeds his full time passion of surfing with money earned each season. Definitely one of our best crew leaders who brings German Precision and Process to everything he touches. The fittest 40 year old specimen we know. Professional, safe and reliable always. Jerry "Jesus" Michell is Retired. Best Wishes to Jerry! 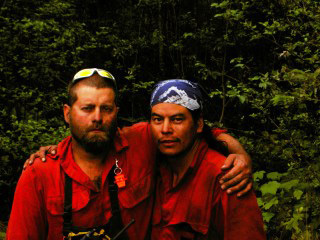 Jesus (hey-zeus) has previously worked for the British Columbia Ministry of Forests Protection Branch as part of their unit crew program for 10+ years before joining the Firestorm team in 2004. Jerry is most distinguished for his safe work habits...solid work ethic...great sense of humour and quality fire line production rate at all times. Jerry's experience includes Crew Base Manager, Task Force Team Leader, Squad Boss / Crew Boss, and Level 3 First Aid. Julie "Jules" Stankevicius is retired. Best Wishes to Jules! We proudly introduced Jules as our full time Fire Operations Manager after she resigned from the British Columbia Wildlfire Management Branch as an Initial Attack Supervisor. Jules has much credibility to which she seldom wags her own tail. Jules is an excellent communicator, has a strong work ethic and extremely personable from early morning to late night. 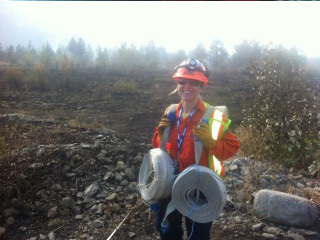 She has an extensive knowledge of Wildland fire suppression methods, strategies, safety, air tanker operations and aircraft capabilities. She actively practices due diligence in every capacity within her control, maintaining operational integrity in order to achieve objectives. 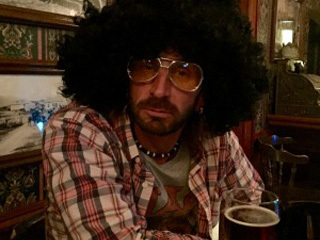 Danny "Mr. Mellow" Humble is our Lillooet Crew Base Manager. He is also a Senior Task Force Crew Leader, Initial Attack Crew Leader, and a Lillooet Team Liaison. You need only state objectives once to Danny...mellow, positive & a hardworking team player...He's been fighting fires since 1991 & started before he could shave. 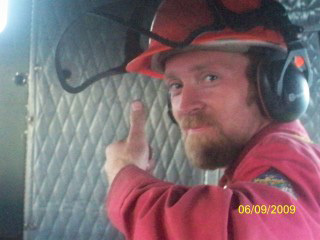 Mike "Smiley" Campbell is a crew leader. Mike was elected Chief of Boothroyd Indian Band. Congrats Mike! 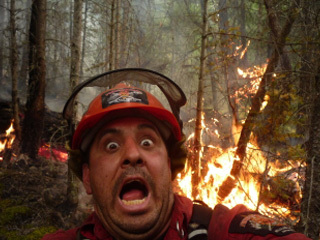 He has 12 years wildland fire experience, and has been a councilor for the Boothroyd Indian Band. Rob "Need a Hand" Sharp is a Structure Protection - Task Force Team Leader. He has 37 years devoted to the fire service. 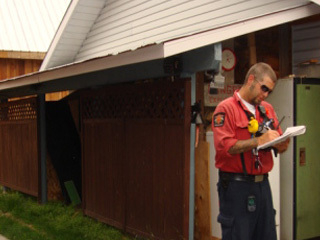 Rob always steps up and always take time out for less experienced firefighters.